​Earn $25 when you refer a friend and they get $25 too! Choose from Piano, Voice, Guitar, Violin, Flute and Ukulele! 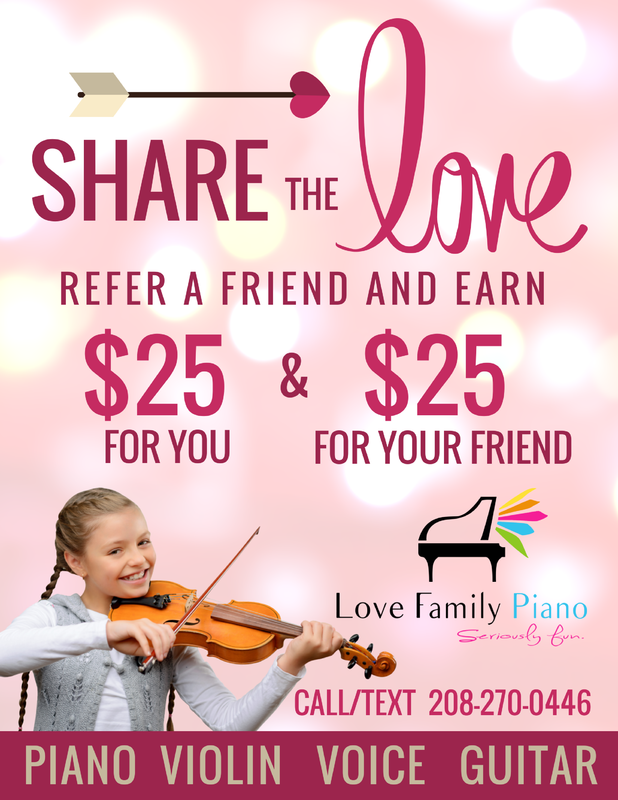 Call Or Text 208-270-0446 to sign up today or fill out the easy contact form below. ​No commitment required to save this offer. ​Just fill out this contact form and we'll answer all of your questions about our one-of-A-Kind music lessons offered right here in Rexburg.